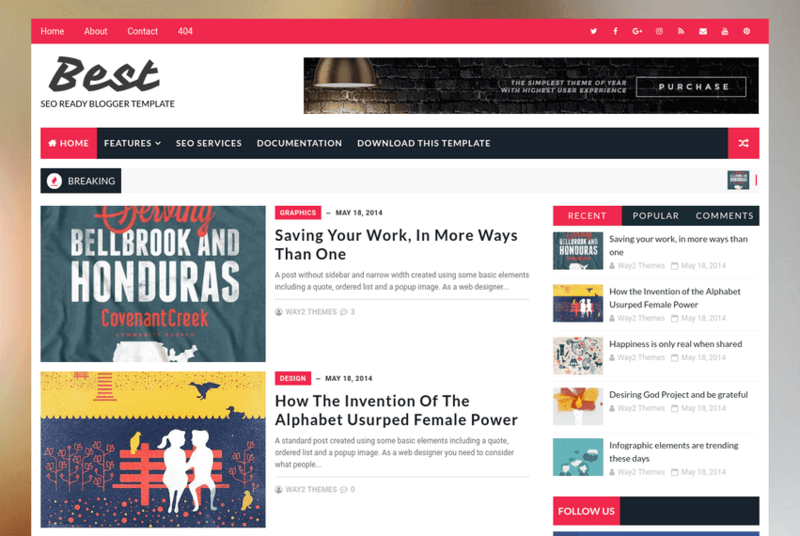 Best is a multipurpose blogger template and the most seo optimized template which we have published till now and you can find on the internet. With search engines in mind such as Google and Bing, we created the responsive theme Best. It is a perfect responsive and gorgeous SEO friendly and SEO optimized Blogger Template. Best is coded in a new way, where it loads rapid fast and have carefully enqueued scripts so it loads as quickly as possible. It is specially designed for any kind of newspaper, blog, magazine, portal and personal type website. Following are some of the key features of Best blogger template.